2017 Smooth Groove Sunday Presented by SpiritBank! Sunday Oct 8th, 2017 2:30-6:30 pm at the Guthrie Green. Guthrie Green Hosts TulsaJazz.Com’s Smooth Groove Sunday Presented by SpiritBank! This is Tulsa Jazz’s inaugural Smooth Groove concert and is part of our Summer Concert Series in the Tulsa Arts District! This concert is a mixture of Jazz Fusion, Smooth Jazz and a touch of Funk, which makes for a wonderfully unique experience, one that has been requested repeatedly and long overdue! “A Smooth Groove Sunday” is more than an outdoor concert, it’s an event! A place to people-watch, eat, mingle, relax, soak in the rays, and of course hear some of the coolest music in exhilarating, intimate performances! This concert offers various levels of entertainment, from classy veterans who have set the standard to young lions taking the jazz scene by storm, all coming together and capturing the spirit of this wonderful event. Bring a chair and a blanket, then sit back and relax to smooth grooves performed by some of the incredible musicians! This Trio consists of three of the Tulsa Jazz communities top players, Jared Johnson, Dean Demerritt, and of course Scott McQuade.This incredible Trio will be performing Traditional Jazz, Free Jazz, and much more! Their genre rides a fine line between Jazz and Funk. The harmony is dominantly jazz, while the groove, style, and atmosphere are funk, the kind that makes you shake your tail feathers. They do a good number of original tunes, however they also really enjoy covering groups such as Tower of Power Snarky Puppy, and the No BS! Brass Band. Michael Anthony Fields, Jr. has emerged on to the music scene with his smooth and exhilarating bass playing exciting audiences through the region. He made his mark on the smooth jazz world with his incredible remake of Frankie Beverly & Maze’s Can’t Get Over You. Once a member of the smooth jazz band Soultry Sound, Michael has embarked on his musical journey and has taken it to a level beyond his own imagination. The North Carolina Native has been inspired tremendously by the music of the late great Wayman Tisdale, and as he continues his solo career Michael Fields Jr will definitely become a name that you won’t forget! One of the pioneers of the smooth jazz style that has dominated the airways and captivated countless listeners for years. He has twelve internationally released CDs, three in the top twenty Billboard Jazz. His current release “Night Owl” has his signature urban smooth jazz sound while showcasing his innovative Funky jazz structures. Along with Garland Smith on drums, and Clay Johnson on bass, they bring their world of sound, melody, and emotion to the stage, a refreshing combination of original and contemporary jazz that guarantees to satisfy the most avid fan. Over the years, national tour appearances with performers such as Joe Sample & the Crusaders, the Temptations, Four Tops, Peabo Bryson, Count Basie, Chaka Khan, Jeff Lorber, Ronnie Laws, Joan Armatrading, Russ Freeman and the Rippingtons, Marcus Miller, Dave Koz, and many other greats have added to the reputation of “The Groove”. Tulsa Jazz is an independent, not-for-profit, jazz promotion company that keeps you informed about jazz related people, places, and events both in the Tulsa area and nationally. We help our friends (artists) achieve their music goals through creative promotions, education, consistent encouragement, and hard work. 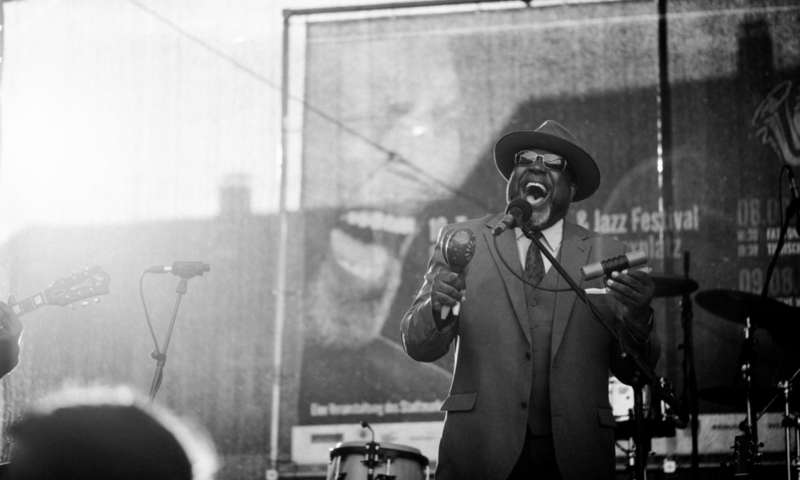 Jazz, and the Artists that bring it to life…that’s our passion! Tulsa Jazz: Your source for all things jazz in Tulsa!! Previous PostPrevious Festival Americas Latin Festival at the Guthrie Green Friday and Saturday September 22nd & 23rd, 2017! “The Art of Thank You” is just that, an art, those who master it will prosper in everything they do. 2017 Events: It’s been a fun year!